Provides outstanding comfort and anti-fatigue capabilities to workers. The diamond tread pattern provides traction. 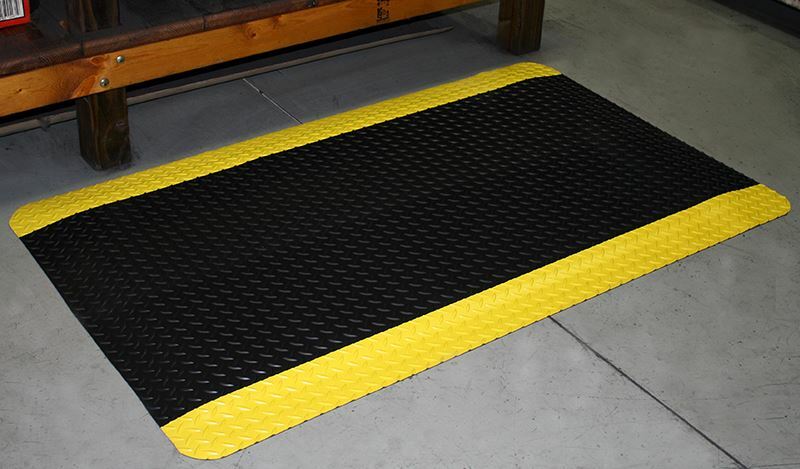 The beveled edges promote safety and prevent tripping accidents. 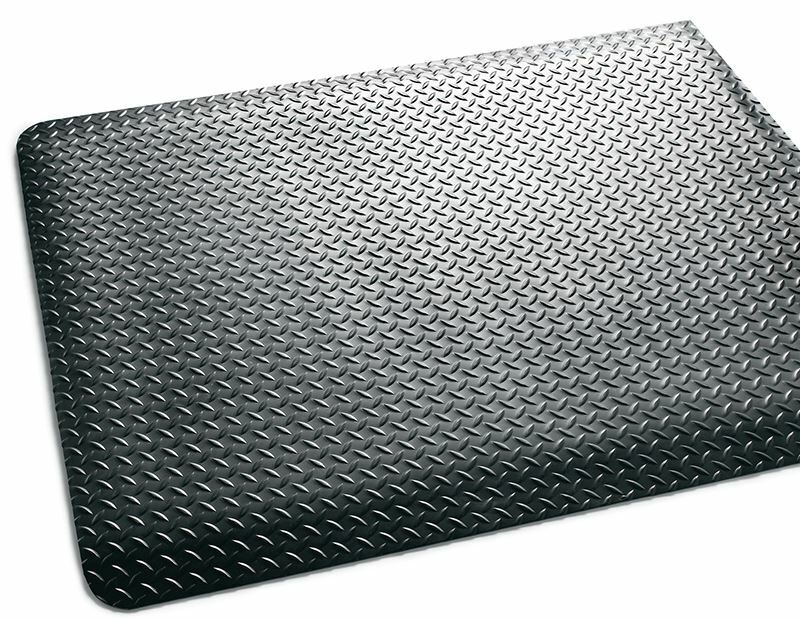 Foam backing is resistant to many common oils, alkilydes and acids. Requires low maintenance, sweep clean, or mop down with mild detergent.